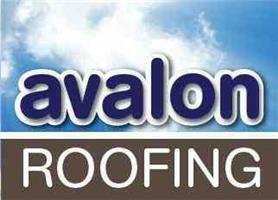 Avalon Roofing Ltd - Roofer based in Church Crookham, Hampshire. Hello and welcome to Avalon Roofing, where you and your needs are our top priority. Avalon Roofing is a small Company based in Church Crookham, Fleet with a big reputation to which we are extremely proud to have. We come highly recommended and not only have much repeat business but also a lot of work generated through word of mouth from our previous satisfied customers. We cover every aspect of roofing from a broken tile to a strip and re-tile, also fascias, soffits and guttering are a speciality, we only ever use the best materials at the lowest prices which in turn reflects in the fully detailed written quotations to our customers. Avalon Roofing is fully trained, up to date minimising any potential risks to both parties to ensure a safe environment. We can guarantee prompt, reliable service from start to finish to give you the peace of mind for stress free works to be completed within the timescale given.